Your turbine operates in tough conditions—running at high temperatures and exposed to a ton of contaminants. 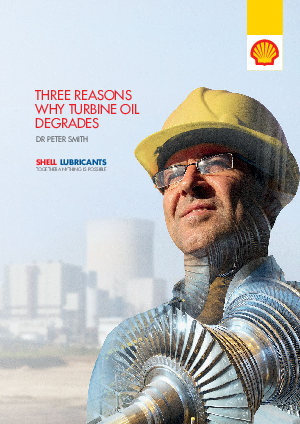 As the pressure to perform builds on your turbine, your turbine oil can start to degrade. GET THE BRIEF ON CAUSES AND CURES OF OIL DEGRADATION. In the brief, you’ll learn some of the common causes of turbine oil degradation that happen all the time during the course of turbine operation. Download the brief and learn how to avoid problems like contamination and varnish build-up that can really cost your operation money in unplanned maintenance, repairs, and downtime.